Wastewater and Water Plants prefer Rebuild-it! We're the one stop rebuild shop for all your rebuild needs. Regardless of who the manufacture is, we can rebuild it. As you know EIMCO and Dorr-Oliver brand names have been around for a long time. These companies have been producing quality parts and equipment for over 100 years. Read more about the history and how Rebuild-it Services Group became a part of these quality brands names. 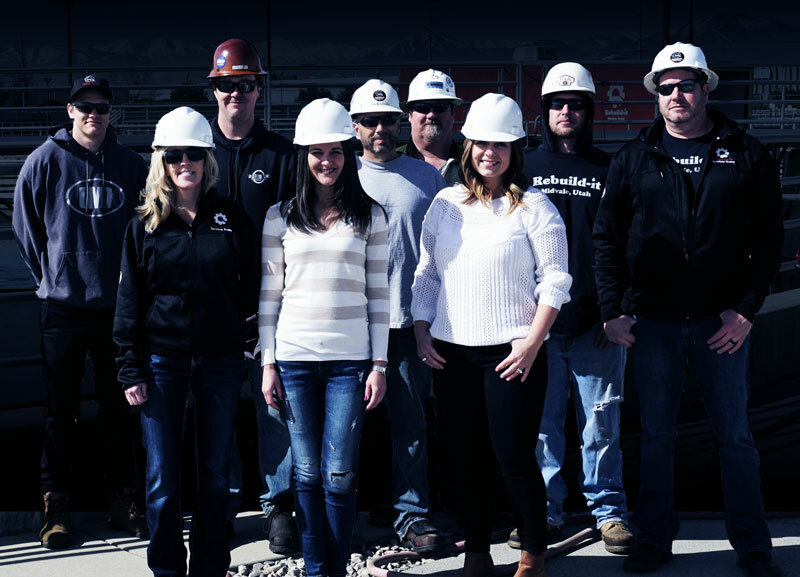 We have a professional team with over 100 years of experience with EIMCO and Dorr-Oliver equipment. We pride ourselves on providing 24/7/365 customer service. We specialize in the Municipal marketplace. We have the best agents in the market representing us locally. We have years of experience supporting our customer's needs with every type of equipment. We work with and support the Industrial market, including pulp and paper, power and energy, food and beverage and other plants. "Wow! This is the best rebuild we’ve ever had at our plant. We will be rebuilding all of our equipment with Rebuild-it." "Thank you Rebuild-it for all you did in getting our plant up and running again. Thanks for all your help and support." "​​​​You guys always answer the phone. The service we receive is outstanding and your prices are very competitive." "​​​​The installation went very smooth; the Rebuild-it team is very knowledgeable. We will use you guys for all our rebuilds and parts." "​​​Thanks for all your help with our drive rebuild, the drive turned out great! Your field team is very professional." "​​​Great job with our repair project. We always receive the best service with you guys. Your project manager did a great job." Rebuild-it and FLSmidth have teamed up to provide you OEM quality parts and services from the company that owns EIMCO and Dorr-Oliver. RSG supports the Kusters Water Company with field service and utilizing OEM parts in rebuilding Hi-Tech drives and equipment. RSG supports Walker Process with providing labor services for Walker Process and utilizing OEM parts for rebuilding the drives and equipment. RSG represents EIMCO-KCP in North America. We also utilize their expertise and engineering to help support our customers. RSG has teamed up with White Summit Engineering in supporting our customers with process help and troubleshooting. RSG has teamed up with Evoqua in providing OEM parts for Envirex drive rebuilds and other equipment. Get parts and equipment that you need to get you operational. Get the best service and drive rebuilds from the professionals. Get the best quality and innovative technology with our new drives. We're committed to providing you excellent service, so you always choose us for your Rebuild & Repair needs.